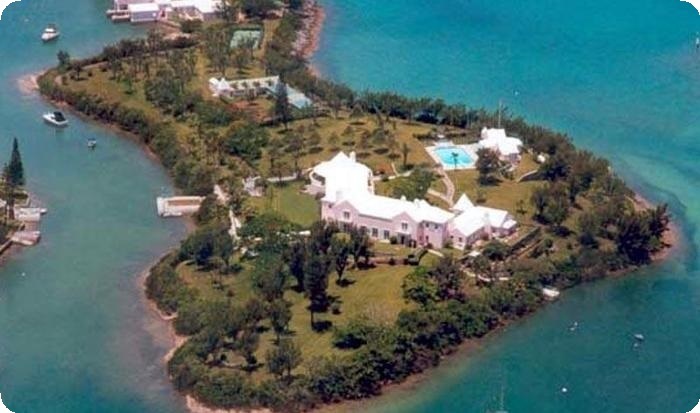 Ever dreamed of having your own private island? While there are a variety of possible accommodations available in Bermuda, the ultimate in vacation privacy comes in the form of your very own private island, an experience that can be easily arranged before you ever leave home. 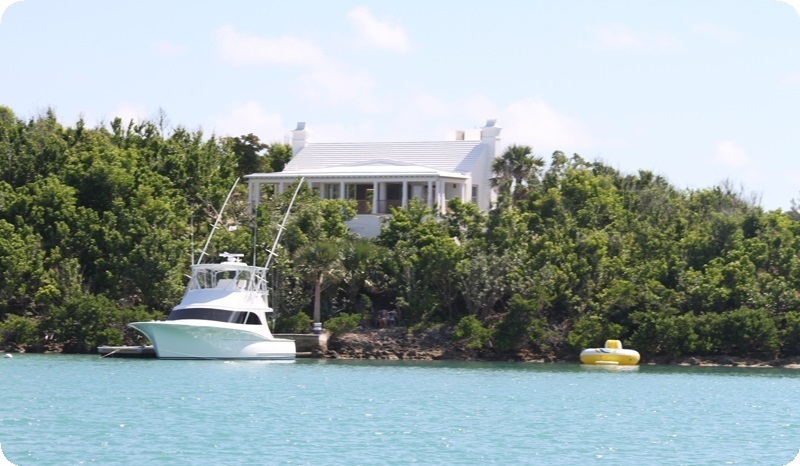 For those seeking the ultimate island experience, you can rent your own private island in Bermuda, enjoying complete privacy while surrounding yourself with our crystal clear waters. Both Oswego Island and Perot’s Island are available for rent, with rates starting from $1,250 per night. 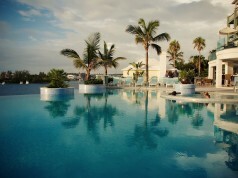 Perot’s Island in Southampton parish features just over eight acres of sheer luxury, with one of the most extensive private shorelines Bermuda has to offer. Featuring a seven-bedroom main house with a two-bedroom pool pavilion, Perot’s Manor can easily accommodate 17 guests. There are seven bedrooms in the main house, each with en suite bath or showers, while the master suite comprises two bedrooms, two dressing rooms and two bathrooms all with fabulous water views. There is also one-bedroom staff accommodation on the lower level of the main house. The property has a large swimming pool with a two-bedroom cabana, children’s pool, paddle tennis court, beautiful gardens, putting green, small beach, private chapel, greenhouse, and a peaceful jogging track around the island. There is a minimum seven day stay and, as of 2014, the weekly rates to rent the island range from $22,400 in the off-season up to $28,000 in the busy season. Boat service is provided between Perot’s Island and the mainland, which is only 130 feet away. Perot’s Manor can be contacted via telephone at 441-236-1444, via fax at 441-236-1933, or you can visit their website at PerotsManor.com for more information. In the tranquil Smith’s Sound between St. Davids Island and Smith’s Island lies the secluded Oswego Island. Located in the east end of Bermuda, this 3.2 acre island is the perfect respite to enjoy the simple pleasures of island living. Designed to let the outdoors in, the island’s brand new three bedroom dwelling boasts natural water views, more than ample porch space, and an open-plan, providing you with the ultimate in modern comfort even while your beautiful surroundings command your focus. The minimum stay is three nights and, as of 2014, rates start at $1,250 per night or $8,000 for seven nights. This rate includes electricity and local telephone calls, gardening, boat service to and from the island for your arrival and departure, orientation, and maid service once per week and at the end of your stay. As far as occupancy is concerned, Oswego says that three couples and two children is recommended, while additional cots can be provided upon request for more guests. A complimentary boat tour is included in your stay and a boat and tank of gas will be provided for no additional fee for you to use during your visit, however competency will have to be demonstrated before boat operation is permitted. You can contact them via telephone at 441-297-0622 or visit their website Oswego.bm for more information. Luxury doesn’t come cheap, however when looking at getting a group together with the maximum occupancy recommended for both properties and splitting the costs, both islands work out to be around $200 per night per person. 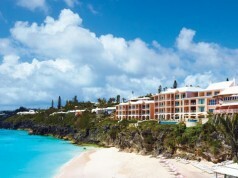 If renting your own private island isn’t quite within your budget or doesn’t suit your tastes, Bermuda does offer many other accommodation options such as hotels, guest houses, and vacation home rentals.